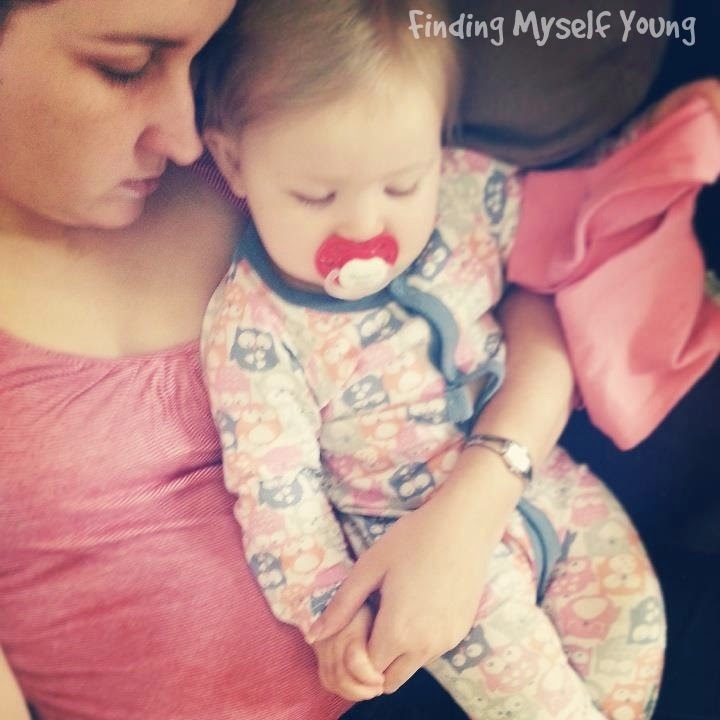 As a mum you know when something's wrong with your baby. You just know. Sometimes even before it becomes physically obvious. Its instinctual. Its the tug deep down in your heart telling you something's not right. Its that tiny little voice inside your head gently whispering in your ear as you shrug it off assuming you're overreacting. Thank goodness for mothers instinct. Last Monday bub woke a lot later than usual and promptly wanted to go back to sleep. That was the first sign. For a baby who normally wakes early and doesn't sleep much during the day it was definitely out of character. She was sleepy the whole day and when she wasn't asleep she refused to leave my side. If I tried to put her down she'd lock her arms around mine and start screaming hysterically. Nothing could calm her. Not dad. Not toys. Only mum and lots and lots of mummy cuddles. So the tugging and whispering began. As the cuddles and sleeping continued I noticed she was getting a lot hotter than usual. Her face was bright red and her skin was burning up. T shrugged it off because she'd been sleeping on me so much, but I knew something wasn't right. The voice grew a little louder. I took her temp and it had sky-rocketed to 39.3. I started to mildly panic on the inside. Daddy came in cool, calm and collected and gave her a bath and Panadol and her temp had gone down to 37.6 within an hour. The voice quietened down, she went to sleep and all was well. So we thought. Monday night she woke screaming every forty minutes throughout the night. The voice inside grew louder again. By 4am I noticed a rash on her little hands. She had tiny red marks around her mouth. I had to go out in the morning and leave her with dad, but the voice was yelling at me not to go. He convinced me to go out and I booked her a dr appointment for straight after I got back. Reluctantly I went out and left her at home with dad. A couple of hours later I got a text from T "we're not going to the dr we're going to the hospital". Daddy is normally the cool, calm one so for him to send me that message I knew something was very wrong. My hands we're shaking while I was driving home. Its weird enough not having her with me, but knowing shes sick and not being with her took my anxiety and panic to a new level. The whole time home the voice in my head was screaming at me. Cursing me for going out. Willing me to drive faster to get home quicker. By the time I got home she was covered in a red rash all over her arms and legs. Screaming hysterically. Her face bright red and covered in tears. I could see the pain, panic and fear all over her face. 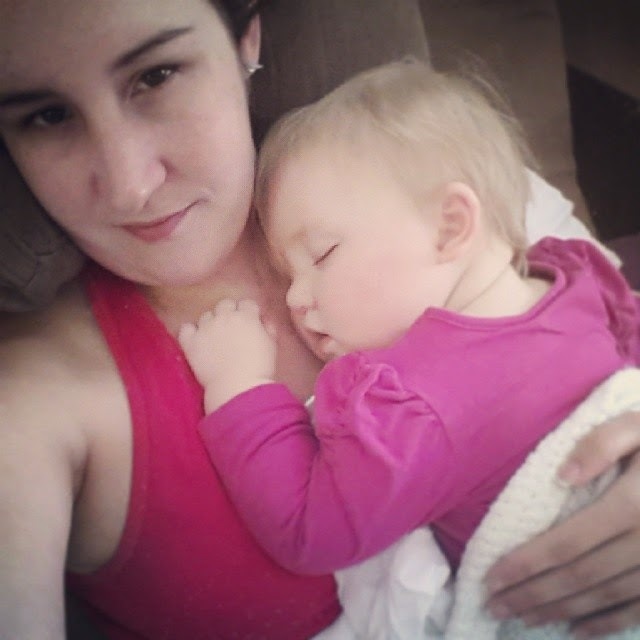 I took her in my arms and the screaming subsided, but I knew mummy cuddles wouldn't fix everything this time. Off to the hospital we went. At the hospital the nurses were great. They got her seen within minutes and had her diagnosed soon after. My poor baby girl has hand, foot and mouth - a viral infection that's extremely contagious and spreads quickly among babies. The poor thing has blisters all down her throat and around her mouth. The rash continues to spread all over her little body. There is no treatment other than pain relief (and all important mummy cuddles). We just have to let the virus run its course which takes roughly ten days. Its not like her allergic choking episodes. They happen so fast there's no time to think, all I can do is act as quick as possible. They're over as quick as they start and in a short while shes ok and back to her normal self. This is different. I feel helpless. I can offer nothing except pain relief and cuddles. Although cuddles are amazing, they don't stop her physical suffering. I can still see the misery on her face. The pain etched in her eyes and the angry rash spreading all over her body. There's nothing more heartbreaking than watching my helpless baby suffering, knowing all I can do is reassure her it will be over soon. Even though I know soon is still days away. And so here we sit for the next few days tucked up on the couch holding hands and snuggling. On hiatus from the outside world. When I was little I thought all mums drove four wheel drives or big cars. I remember each afternoon at primary school the street outside the school would be littered with 4x4's. It continued when I went to high school. We had a drop off roundabout and each morning and afternoon it was like a never ending conga line of 4x4's. It seemed if you wanted the world to know you're a mum you'd drive a four wheel drive. I've never actually owned a four wheel drive. When we we're younger we had a few different cars. but never a 4x4. As an adult I've only ever owned small cars. My first car was a "jellybean car" and for the past few years I've had a Tiida. I could never get my head around driving a big car. I used to affectionately call the Tiida the school bus when I got it because it felt so much higher and bigger than the jelly bean. Yes I can hear you all laughing at me through the computer. I never wanted anything bigger because I've never needed anything bigger. However, now that I have a bub I'm starting to second guess my aversion towards big cars. The fact that I need everything but the kitchen sink when I leave the house has a lot to do with it. We went on an overnight road trip when she was a couple of weeks old and the car was so packed full of stuff I'm surprised T could see out the rear window. We had to take the bassinet, rocker, nappy bag, pram, spare bottles and formula and not to mention our own stuff. Considering the pram alone normally takes up the entire boot and her car seat takes up half the back seat, it was a very strategic effort to get all the rest to fit in. I can certainly see the appeal of a bigger car and I've only got one child. I can only imagine I'll be more drawn to them when we have more than one. So, pre-empting my future need to purchase a 4x4 I asked some mums who already have one what the benefits are. It's funny how your priorities shift once you have a baby. When buying a car previously none of those things would've been features I was after. Now there's a lot more to consider, and all of those benefits would be at the top of my list. I'm almost certain that we'll be going down this route very soon. 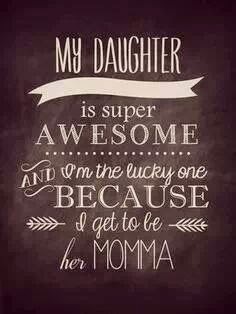 Especially if we're lucky enough to have the three children we've always wanted. I can't imagine having 3 kids in car seats in my car - actually I think it'd be physically impossible. Daddy also has this grand idea of driving around Australia for a year. By "driving" he doesn't just mean on roads; he means dirt tracks, beaches, mountains and creeks. We'll definitely be needing a 4x4 for that, one with great off-road performance like the Land Rover 4x4. No reason why I can't get the benefit out of driving it before then, right? Are you a mum who drives a 4x4? Do you have any other benefits to add to the list? Land Rover is a highly respected brand with a proud range of capable and innovative vehicles with a reputation for legendary off-road performance. If you follow my facebook page you probably would've seen the news a few weeks ago that bub and I were picked to be official Playgro toy testers. As official toy testers we get to trial a range of existing and new toys and then review them for you guys. To say we're excited about this is a little bit of an understatement. What kid doesn't want to be a toy tester? Best job in the world I think. 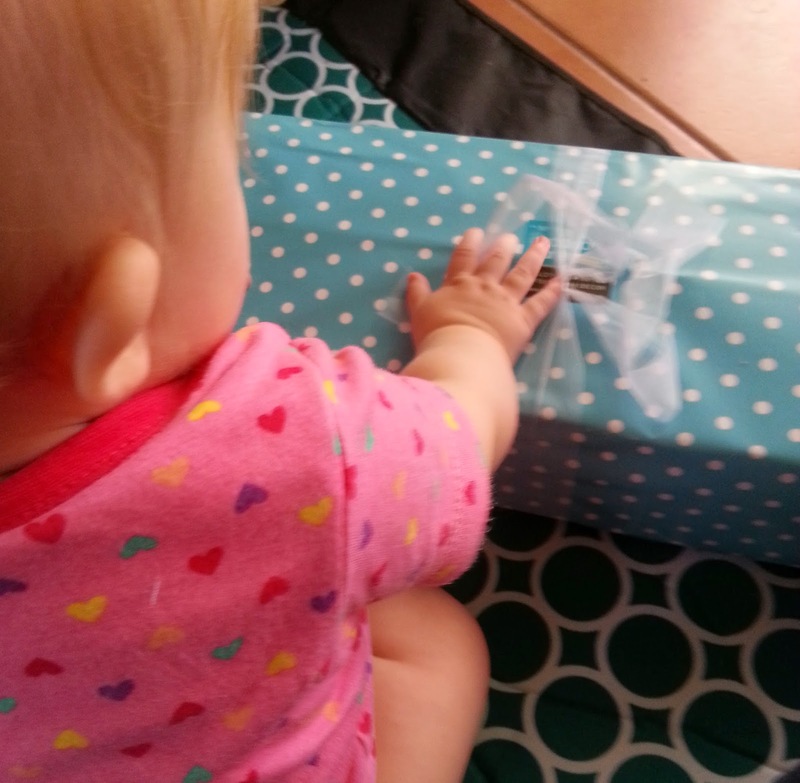 Even if she doesn't really know she is one yet. I'm just a teeny bit excited that I get to indulge my inner child reviewing the toys as well. The first toys we have to review are the pink Bathtime Squirtees. The pink squirtee set contains 8 soft, squeezable sea animals. 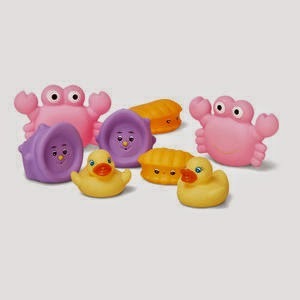 There are 2 x orange clam shells, 2 x pink crabs, 2 x purple shells and 2 x mini rubber duckies. The toys float and can also be filled with water to squirt out their mouths. They're all BPA free and nice and soft for inquisitive gums, so perfectly safe for little ones. They also come in a little carry case which is great for everyday storage and for travelling (you wont have to spend ages searching for the toys at the bottom of your luggage). I have to admit that we actually had these bath squirtees before Playgro sent them to us. They were actually the first bath toys that we bought for bub when she was younger. We got them when she was about 3 months old and still in her little baby bath. A bath used to be a very quick affair at that stage. She never used to be a fan of the water or being washed. However, after we added in the bath toys that quickly changed. All of a sudden the bath was a place for fun. Bath time here is daddy/daughter time. The special time of the day where she gets a break from mummy and gets to spend some quality time bonding with dad. The addition of bath toys definitely helped that process along. It's incredibly cute watching them playing and interacting together during a bath. I'm not meant to watch, but sometimes I sneak up and peek in for a few minutes without them knowing. I just can't help myself. When she was in the little baby bath daddy used to have to take the toys out of the bath before she could get washed because there simply wasn't enough room. She quickly cottoned onto this and as soon as he used to start taking them out she'd quickly grab them and try to hide them down the side of her leg so he couldn't get them. Clever little muffin. She absolutely loves being in the big bath now because the toys get to stay in for the whole bath. On top of making bath time engaging, the bath squirtees also help develop sight and touch skills. The bright colours of the squirtees visually stimulate her and she is very attracted to the bright pink crab and bright orange clam shell. They also help her to develop fine motor skills as she needs to learn to pick them up while they move around in the water. She also quickly learnt how to squeeze them to fill them with water and also to squirt the water out. The little smarty likes to squirt the water out in her mouth so she can drink it because she knows she's not meant to. 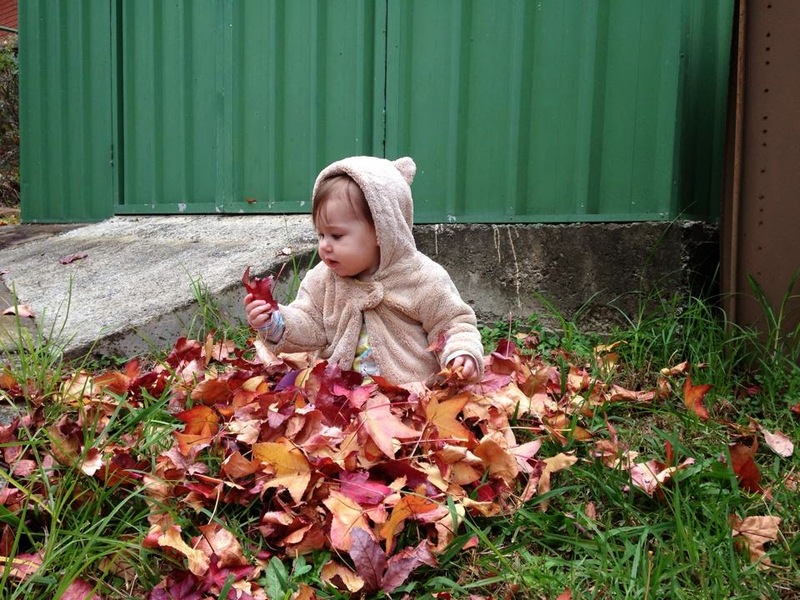 She's learnt that she has to move very slowly and gently to pick them up. In the beginning she used to splash around and be very heavy handed trying to pick them up, but soon realised that just made them float away from her. She now moves through the water quite gracefully in order to get them and make sure they stay near her. The toys have also allowed daddy to have a fair bit of fun too! Although bub doesn't seem too concerned. They spend most of their bath time together laughing so loud that I can hear them downstairs over the tv. I constantly find myself smiling because I can hear how much fun they're having together. I love hearing her giggling away and squealing with delight. Her favourite of the squirtees is definitely the orange clam shell. She loves the bright orange and its also the easiest one for her to pick up and squeeze. It's also the easiest one for her to line up with her mouth so she can drink the water! She also likes trying to eat the head off of the duck. The ones she plays with the least are the purple shells and I'm pretty sure its because they're harder for her to squirt, but she'll get there eventually. 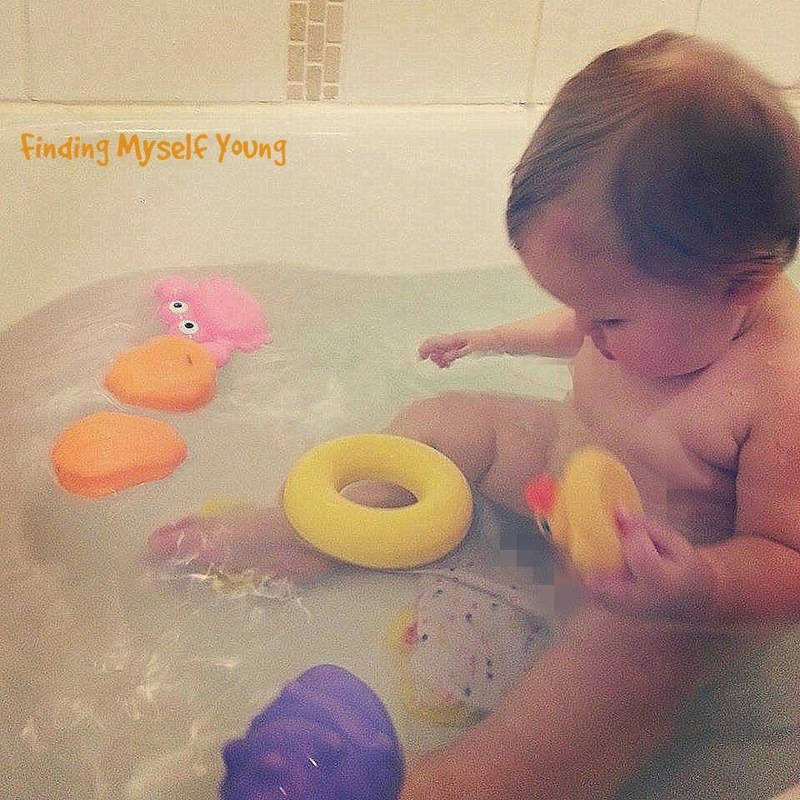 I'd definitely recommend the Playgro bathtime squirtees to other mums. They're great as a first bath toy for little ones. Bub has loved them since she was 3 months old and she still loves them just as much now at nearly 10 months. 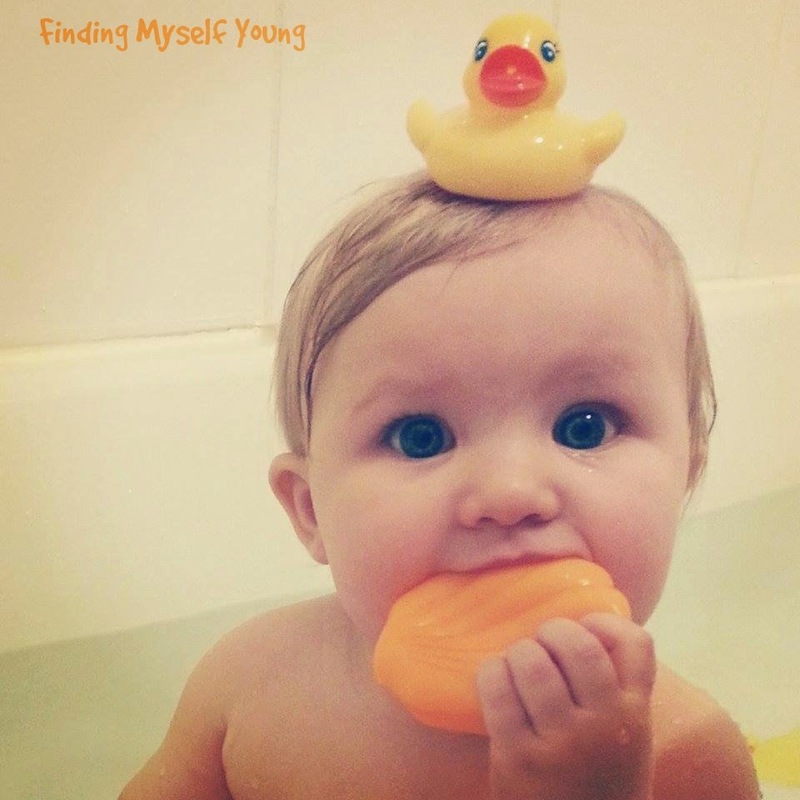 They make bath time fun and engaging whilst also helping babies to develop new skills. Don't worry if you have a little boy who isn't a fan of pink, they also come in a blue version. 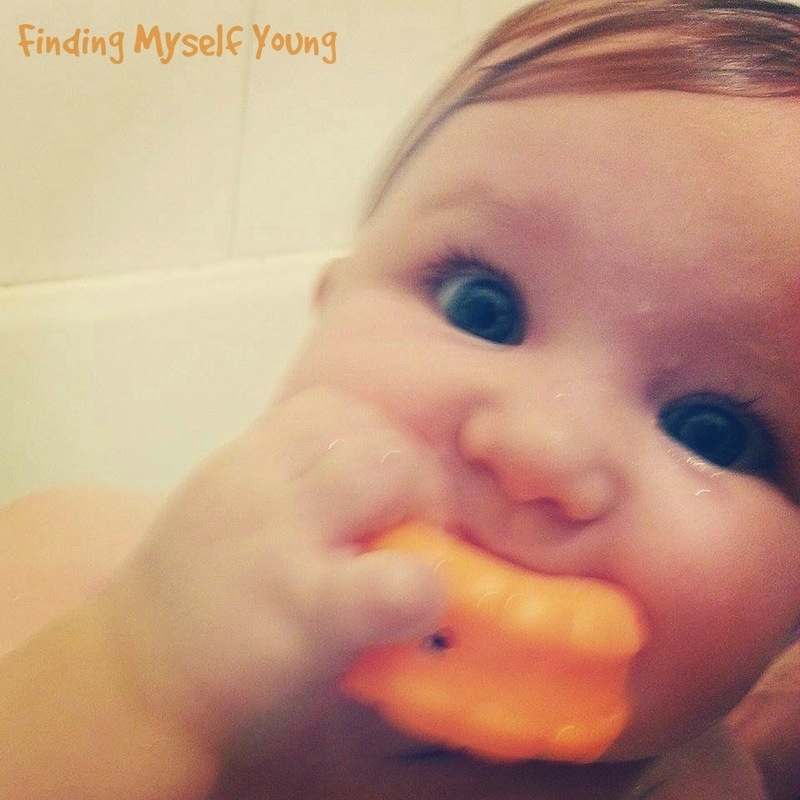 Do you use bath toys at your place? 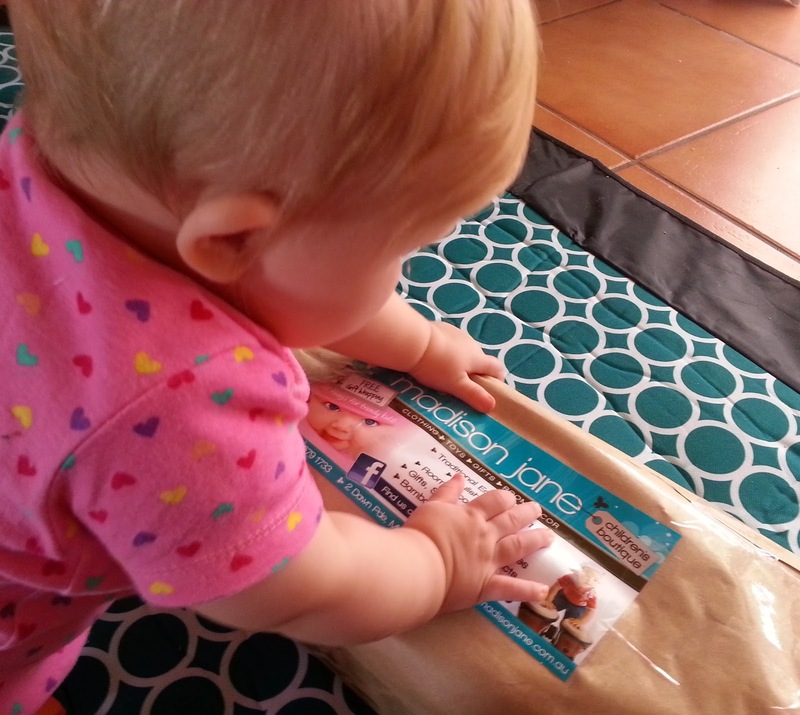 *Disclosure - as official Playgro toy testers bub and I are sent age appropriate toys for the purpose of review. All opinions expressed in this review are based on our personal experience with the products. Bub is most definitely on the move. Shes been crawling for two months now and almost the same week she started crawling she quickly progressed to cruising along the furniture. She loves being upright as much as possible. The only time she really crawls now is to move from one piece of furniture to the other when she can't reach to walk there. She's constantly letting go while standing and we can see her mind ticking over thinking about taking steps all the time. She hasn't taken a step by herself yet, but will walk with someone holding her hands. She's also really good at zooming along with her walker. I say zooming because its much faster than walking pace. She gets so excited she almost runs along with it. When she was only 3 months old a paediatrician at the hospital told me she'd probably be walking by 9 months and I'd say she's not that far off it. I don't mind if she waits just a little longer though, she's growing up way too fast as it is. 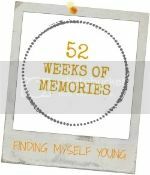 If you would like to join in 52 weeks of memories you can find out how to play here. Feel free to share with your friends on facebook or instagram, the more who join in the better! 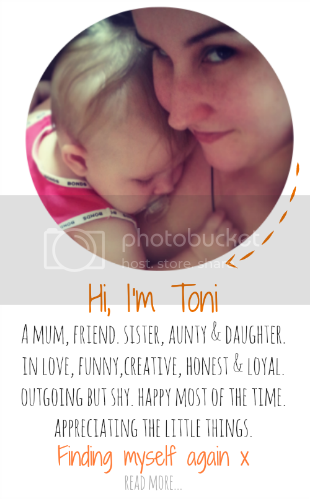 These were some of my favourite photos shared last week for the prompt with mum. Reminder - next weeks prompt is Black & White. We've been on our solid food journey for just over 3 months now and so far she's doing really good. We're moving along a lot slower than other babies because of her allergies. So far shes only had reactions to avocado, apple and pear - all of which you'd think would be relatively safe foods? Go figure. Her favourite foods are pumpkin, zucchini and cauliflower. We've also found some relatively weird combinations that she liked - zucchini & broccoli, cauliflower & carrot and pumpkin & carrot. She obviously has an interesting palette. We were doing purees for quite some time and in the last week or so we're just starting to venture into lumpy mashed food and chunks in some things like banana and sweet potato. I have to say I've quite enjoyed our food journey so far. I love cooking all of her food from scratch, I'm not sure why but I find it quite relaxing and satisfying. I love all the funny faces she makes when she's trying out a new food. I even like the mess she creates when I let her play with her spoon at the end. The only part I haven't liked was the other day when she blew a raspberry at me while eating her rice cereal. It went everywhere. So not cool. Thankgod for baby wipes! 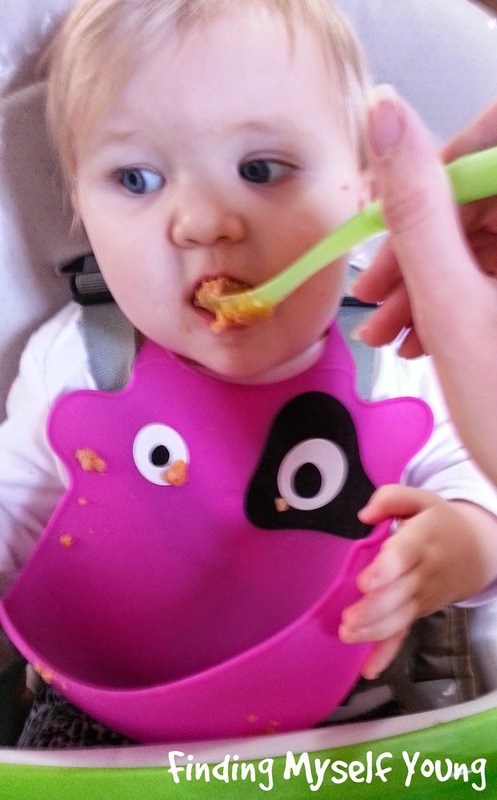 In the last few weeks we've been trying out some cool feeding products from Mickey House Kids. 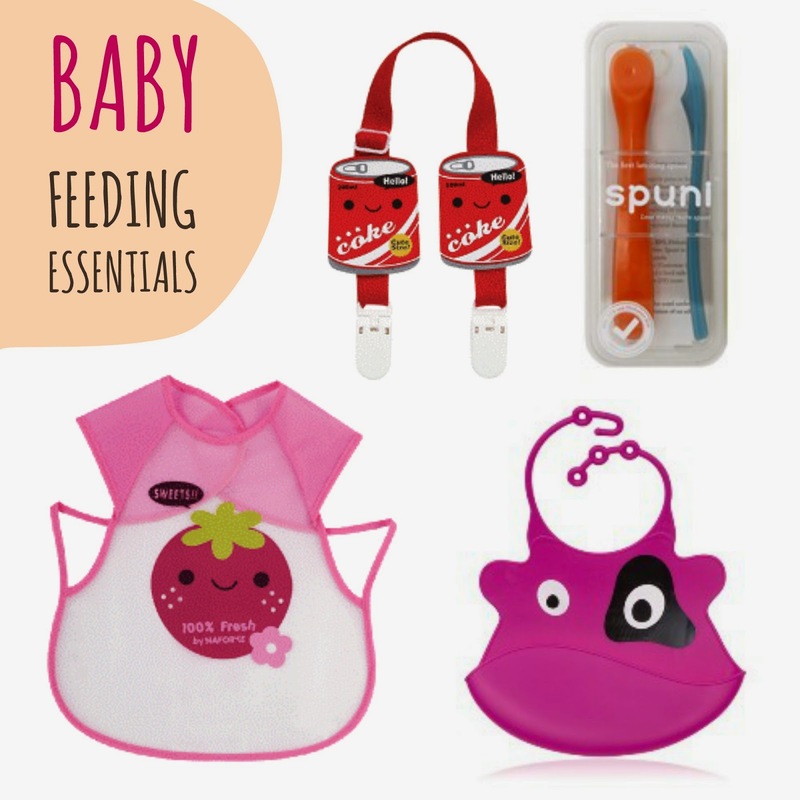 We tried out the Spuni baby spoons, Naforye bib clips, Ulubulu happy cow bib and the Naforye mealtime waterproof bib vest as shown below. Spuni spoons are new baby feeding spoons from NY. They're ergonomically designed to encourage the babies latching instinct so there's less mess while feeding. They're BPA, BPS, Phthalates and PVC free; non-toxic, hypo-allergenic and dishwasher safe. They're available in a range of cute colours. At first I wasn't completely convinced of the claim that the tulip shape would make them the most effective feeding spoon (because what baby product doesn't claim to be the most effective these days). That quickly changed once I used them though! These spoons are amazing. We have quite a large collection of baby spoons of various brands and I have to say the Spuni spoons definitely are the best. The tulip shape definitely does mean less mess. These are the only baby spoons we have that she actually gets all the food off in one mouthful, all the other spoons half of the food gets pushed to the back of the spoon as she tries to eat it. These spoons are the perfect starter spoon for solids. They provide a nice transition from bottle or breastfeeding to eating off a spoon. 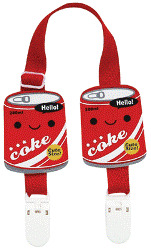 I enlisted the help of a fellow mum to test out the cool coke bib clips for me. We don't use disposable bibs and she does so I figured she'd get more use out of them. I also thought her little boy would love the cool coke design. She thought they were super cute and work really well with a face washer as well. She did note they're a little on the large size in terms of neck width (her baby is 10 months old). 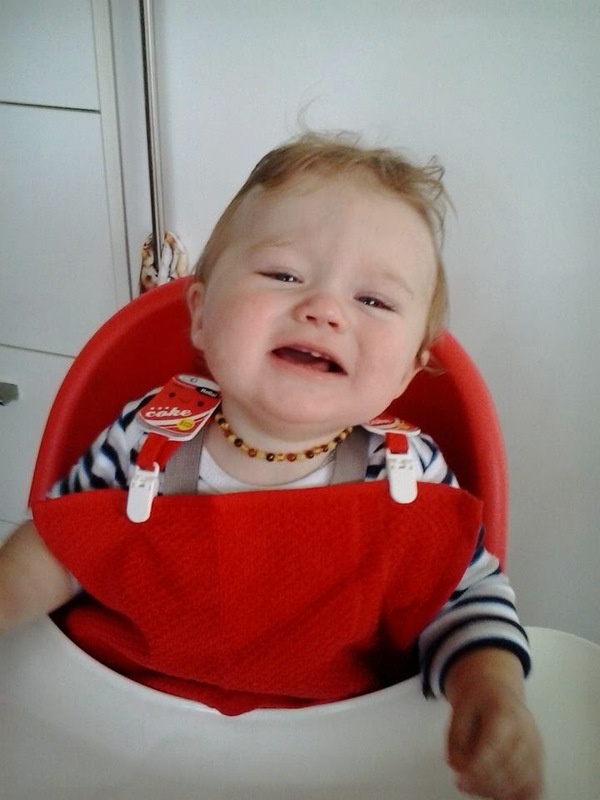 The bib clips would be great to have in your nappy bag for those inevitable times that you're out and have forgotten a bib. They can turn other items into an instant bib - a washer, tea towel, paper towel or even a wrap. The waterproof bib vest is great for messy babies. It covers her whole front so there's no chance of her getting food on her top. It's worn like a shirt which means she can't get it off or lift it up like she does with normal feeding bibs. It means I can let her play with her spoon and bowl afterwards and not be worried about the mess shes going to make. It's also great now that we're moving on to more solid pieces of food that she picks up herself (because she always gets them over her top, down her front and basically everywhere possible). The best part is that it can just be wiped clean. There's no need to wash it in the machine! Thankgod because all I seem to do is wash a million bibs each week. 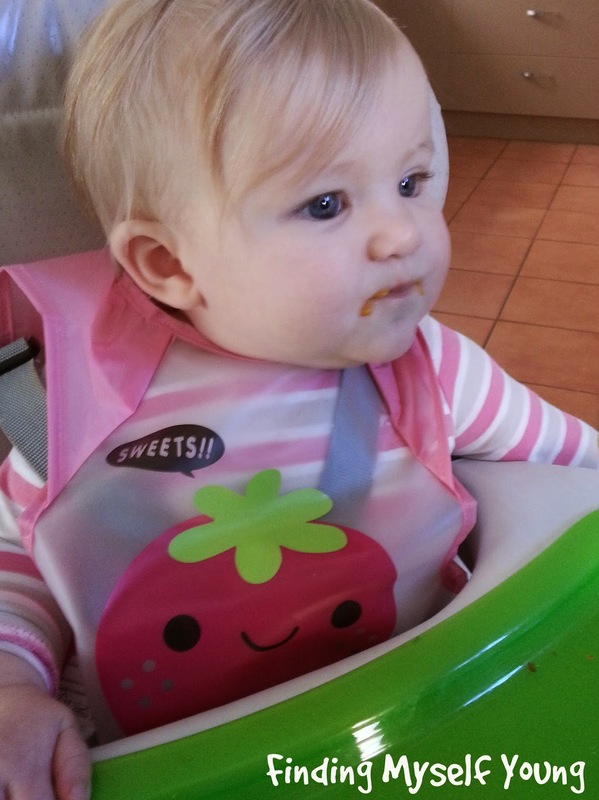 Once you get past the need for bibs while eating (they do get past it right? ), you can use the bib for arts and craft time or as a painting vest. 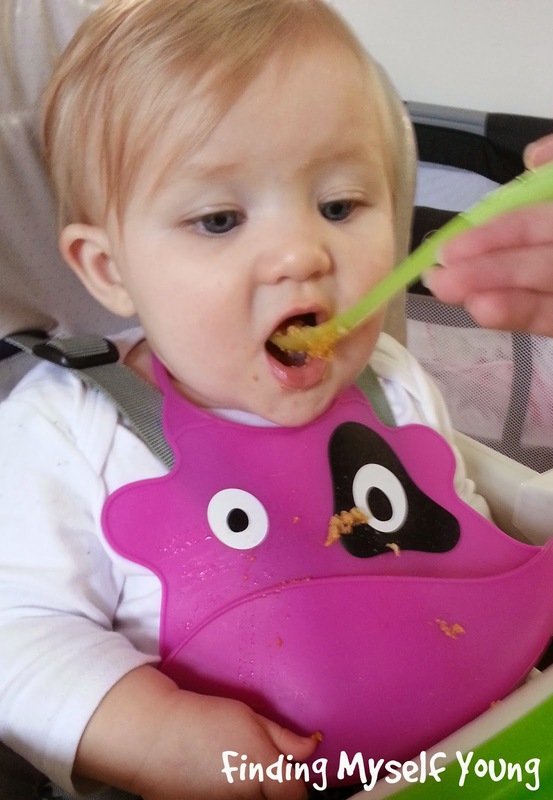 The Ulubulu bibs add a bit of fun to food time! They're made of silicone which is great for cleaning, the only downside is bub kept trying to steal it off me to eat it because all her teething jewellery is silicone as well. These bibs have a built in pouch to catch crumbs which is great for babies that are up to eating things like biscuits, cakes and bread. 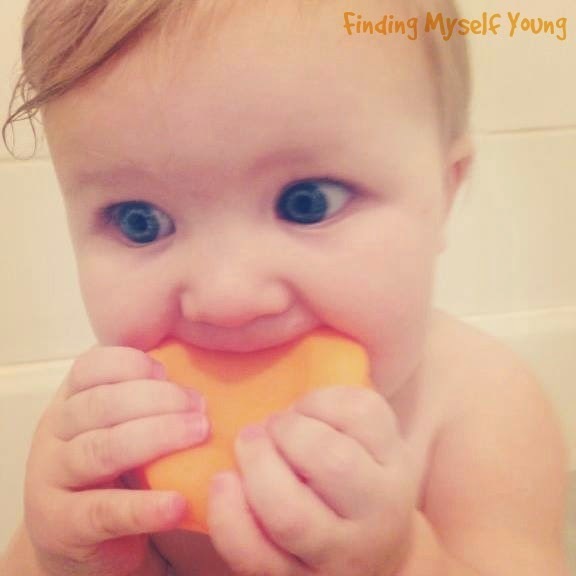 Also great for those who are practising baby lead weaning. 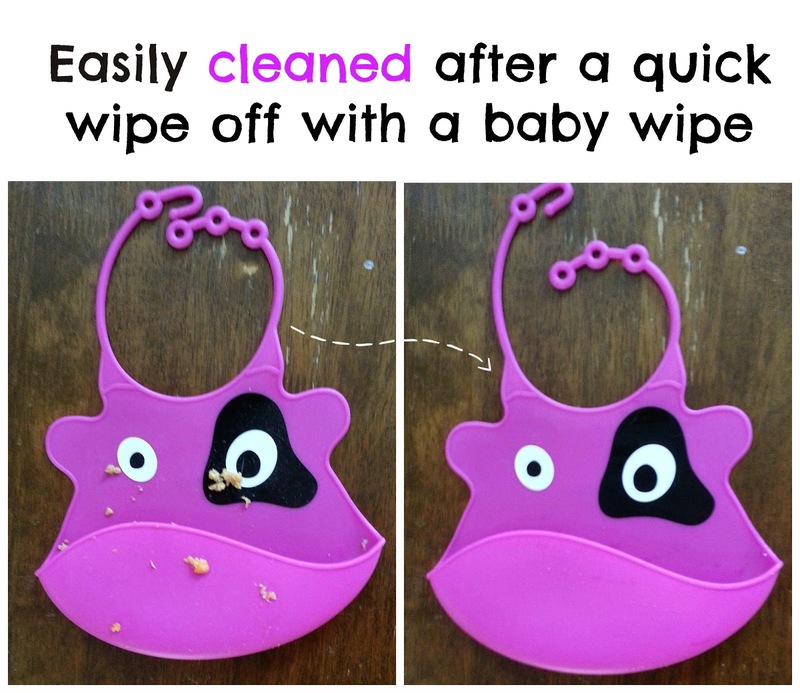 What I really love about this bib is that its so easy to clean, just a quick wipe over and its done. No need to wash (although it can be safely washed in the dishwasher if you want to). It can also roll up easily to fit into a nappy bag when out. I also really love the clasping system as you can adjust it so it fits from 6 months right through to toddler age (shes on the tightest one still at 9 months). Its also impossible for them to get it off! Unlike the velcro ones which she takes great pride in ripping off. If you're currently at the solid food stage, or you're about to start solids, you really should do yourself a favour and check these products out. Especially the Spuni spoons, they're my favourite. All of these products are available from Mickey House Kids. 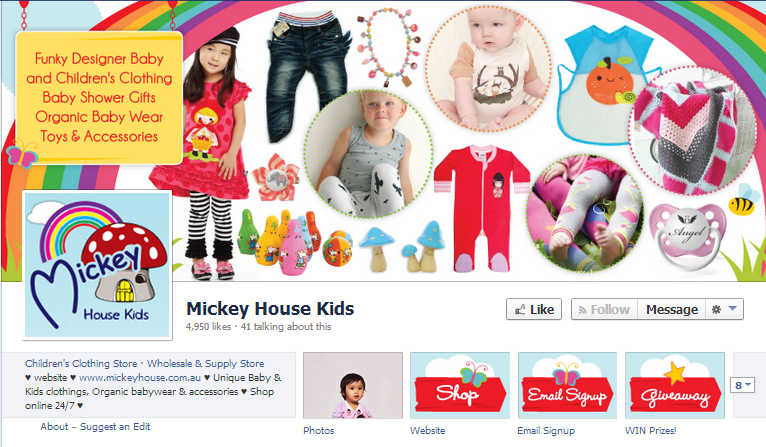 Mickey House Kids is an online baby store where you can find unique, quality items for babies and toddlers at affordable prices. 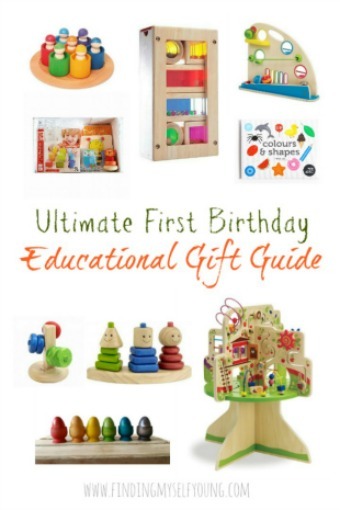 They stock a range of products from designer and organic clothes, baby gifts, accessories and baby essentials. Owner Wendy has sourced a number of brands from overseas that aren't readily available at other stores, including products from the states and quirky fashion from Korea and Japan. 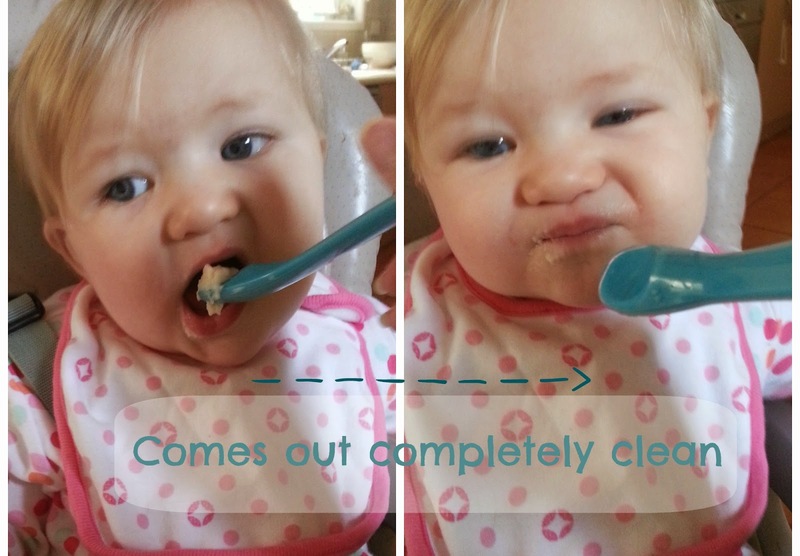 Do/did you have a favourite feeding item with your baby? *Disclosure - I did not receive payment for this review. All opinions expressed are based on our own experience with each of the products. BC (before children) I took great care of myself. I wore makeup everyday. I moisturised morning and night as well as exfoliating each week. I waxed my eyebrows and legs. I straightened my hair regularly. I painted my toenails a different colour each week. I took looong hot showers. I spent time unwinding each night watching my favourite tv shows. I went to the movies. I slept in on my days off. I went to the beach to relax. I did what I wanted when I wanted. I never did anything too over the top, but I took care of my body and made sure I took time out for myself. You know the cliché saying that women let themselves go once they have a baby, well in my case it was totally true. After having my daughter, any time and motivation, for self care went out the window. With a newborn who had colic, demand fed, didn't like sleeping and went through a ridiculous amount of nappies and clothes in a day it was hard enough finding time to eat. Let alone do anything else just for me. Like most new mums, I put my babies needs before my own. Besides, It's amazing what you'll tolerate when you have no energy at all. 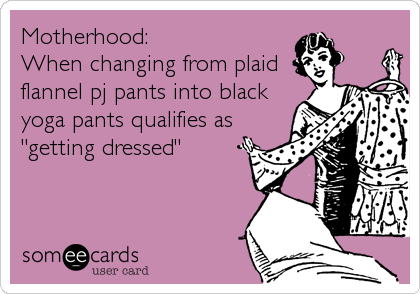 I spent a good part of the first few weeks in my pyjamas or a pair of yoga pants. Having had little to no sleep and a healing c-section scar all I was concerned with was comfort. It's a good thing I don't have any older kids because I can guarantee school drop off probably would've involved me wearing pjs, at least on the odd occasion. Pretty much the only time I put on real clothes was when I needed to leave the house. I was horrified the first time a delivery man came to drop off a parcel and I was still in my pj's, but to my surprise he didn't even bat an eyelid. I guess that means its a relatively common thing? Any hair care basically went out the window, I was lucky to get a shower at all, let alone one long enough to wash my hair. My go to hair style was (and is) the dishevelled bun. Shaving in general is now done "as needed" instead of everyday. It's ok though because its coming up to winter and long pants hide a multitude of sins. Isn't winter awesome? Even while my standards in terms of appearance and self care slipped initially, there were two items that I made sure I never went without. The first is lip gloss. It's about the only makeup product I wear on a daily basis since having bub. Foundation, eye-shadow etc is reserved for special occasions these days as I simply don't have the time to leave her unattended while I do my makeup properly. Slapping on a bit of lipgloss is as good as it gets here most days. Thankgod for Instagram filters is all I can say. The second, deodorant, is a complete necessity. My grandmother drummed the importance of a good deodorant into me from a young age. I can handle wearing daggy clothes, but I simply can't handle going without deodorant. I also noticed a definite increase in sweat after giving birth, as well as having hot flushes while breastfeeding. Apparently the hormonal changes involved in birth and the shedding of excess water weight from pregnancy are to blame (if you find yourself in the same situation, try the new Rexona Clinical Protection range). Thankfully the hot flushes calmed down after a few weeks and everything seems to be back to normal now. Now that we're both getting a better nights sleep I'm starting to feel like the old me again. The self induced hibernation period after having bub is well and truly over. I'm not quite back to painting my toenails each week, but I am taking much better care of myself again. I'm finally thinking about booking in for the pedicure and massage session T gave me for my birthday back in October. I've also booked in for my first haircut and colour since I was four months pregnant (for those playing at home that means its been 14 months since I had my hair done). One day I hope to get back to having long hot relaxing showers each night, but I know that may be years off yet. As part of my recovery from PND my psychologist keeps telling me its important to put in the effort and put myself first (at least some of the time). 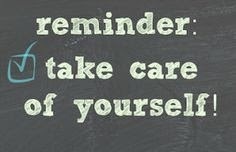 Looking after yourself has both emotional and physical benefits. Its relaxing. It recharges you and most of all you feel good about yourself. So with that I'm trying to take time out and do little things for myself each day. 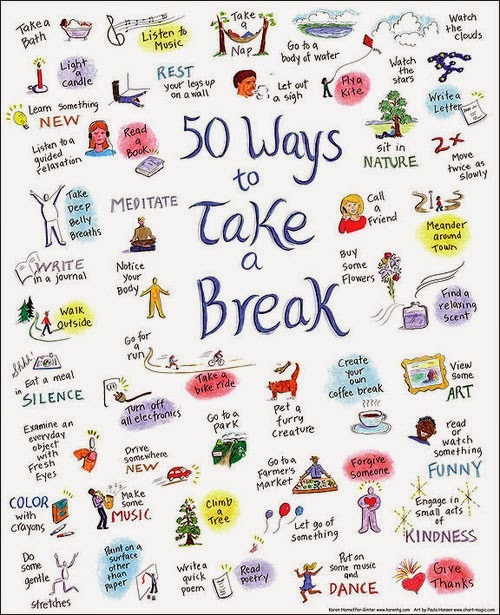 What's your necessary self care item? *Disclosure - this is a paid post in conjunction with Rexona. Rexona Clinical Protection is an advanced formula specifically designed to provide clinically proven wetness and odour protection for Men and Women who need the best. This week was awesome because I got to experience my first mothers day. 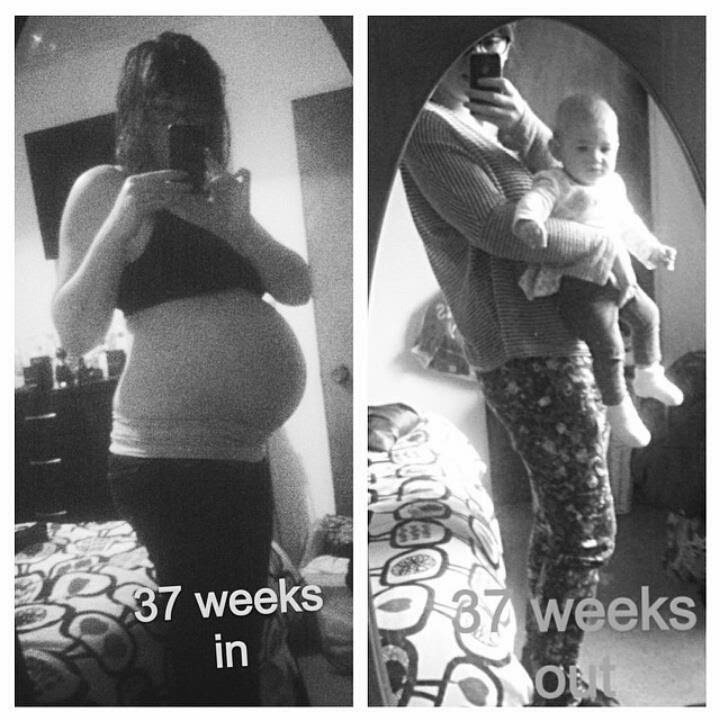 Its almost unbelievable to finally be at this point having endured years of heartache trying to conceive. Daddy did very well organising the Mother's Day gifts which was quite surprising because its normally not his strong suit unless hes told exactly what to buy. He got me a sewing machine, amongst other things, so I guess I'm going to have to learn to sew now - yay! The day wasn't about material gifts for me though, my greatest gift was getting to spend the day (and every other day) with my baby girl. 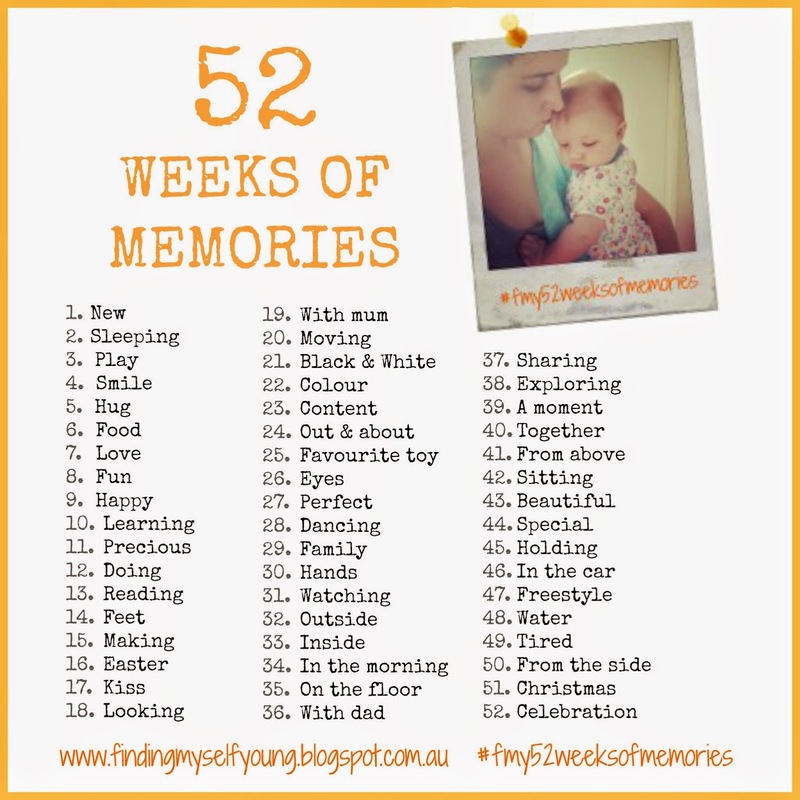 If you would like to join in 52 weeks of memories you can find out how to play here. Feel free to share with your friends on facebook or instagram, the more who join in the better! 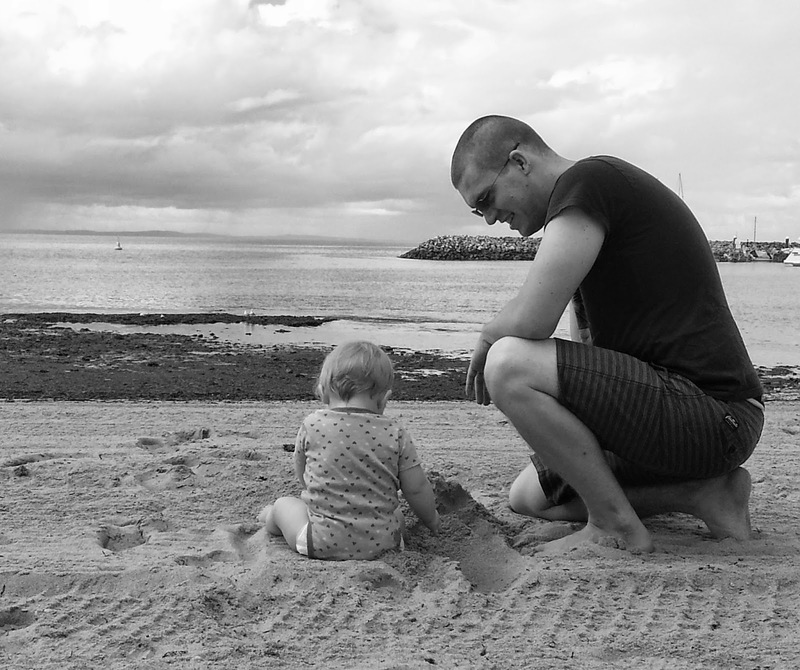 These were some of my favourite photos shared last week for the prompt looking. Reminder - next weeks prompt is Moving. T and I have always been good drivers and we never questioned our driving ability - until we had a baby. There's something about a tiny little human that makes you re-evaluate the way you do almost everything. Suddenly there's a huge amount of responsibility attached to even the most basic daily tasks. Knowing you're carrying the most precious cargo ever is enough to shake even the safest of drivers. I remember the drive home from the hospital. 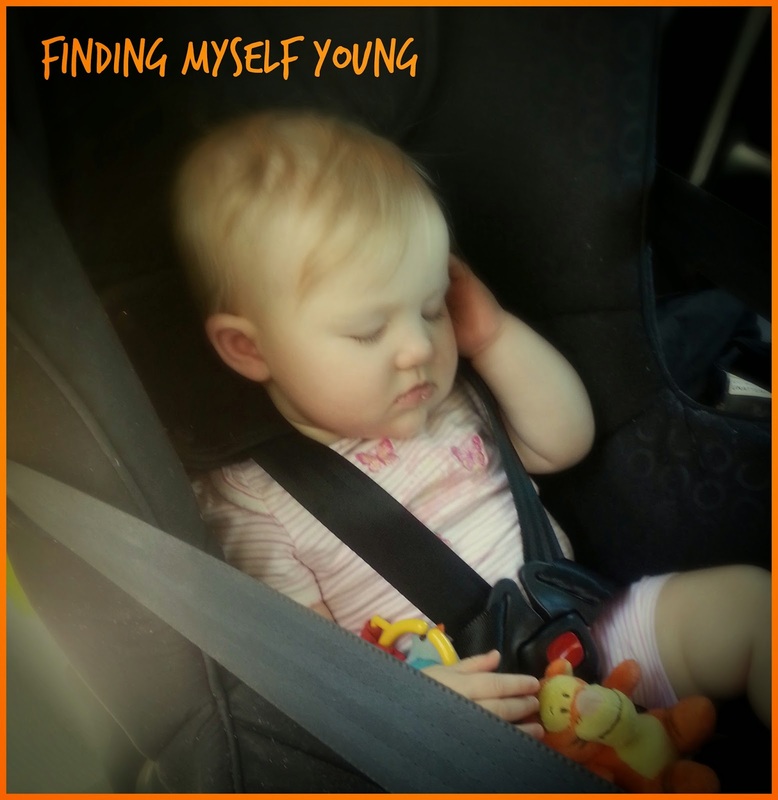 How gently we placed her into the car seat afraid we might break her. I sat in the back of the car because I was so nervous. I needed to see her and make sure everything was ok. I've never seen T drive so cautiously. I don't think he even got up to the speed limit the whole way home. He normally gets frustrated by the slow drivers, but here he was the slowest one on the road. Luckily it was late on a Sunday night so we didn't have to deal with other disgruntled drivers. Despite daddy's careful driving, bub wasn't a fan of the car that night. Each time we stopped she screamed her lungs out. You know when you really want to get somewhere without stopping and you end up having to stop way more than usual, it was one of those journey's. I swear we got every red light on the way home. Every. single. one. 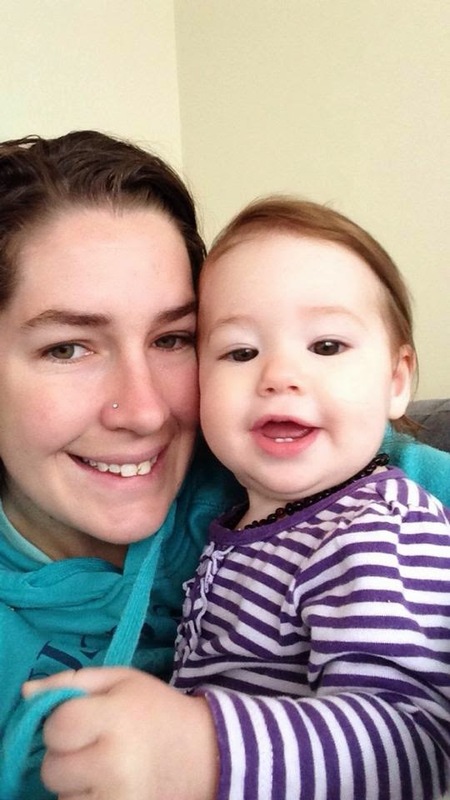 I ended up not being able to drive for almost nine weeks after her birth because of my emergency c-section and complications with my scar healing. By that stage I had grown extremely anxious about driving with her. I hated the fact that I couldn't see her while driving and I was so worried she'd stop breathing and I wouldn't know. To the point where I considered staying home forever so I didn't have to do it. I figured it would be doable for a while with online shopping and all, but eventually there'd come a time where I'd need to leave the house with her. So, I had to take a leap of faith and just get on with it. 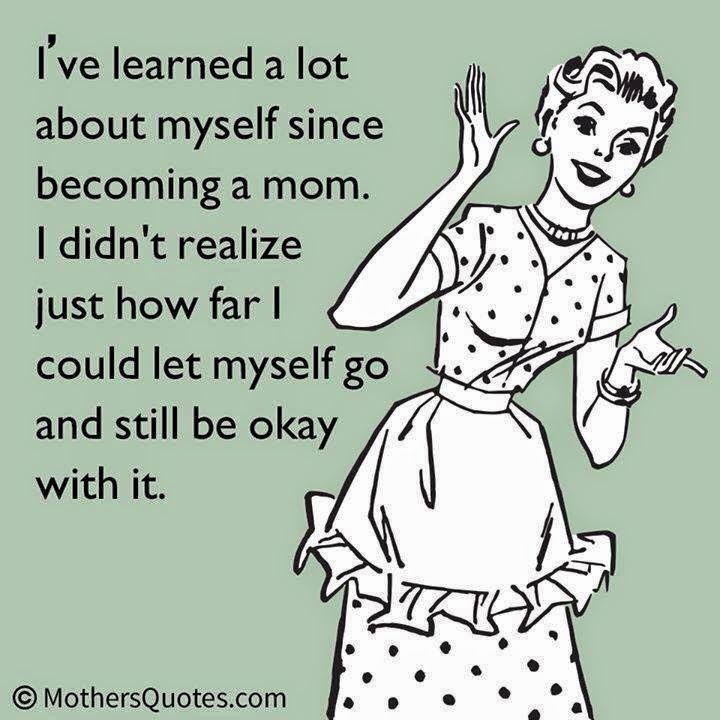 Turns out I took a rather big leap, by joining a mothers group, which forced me to drive to a different place each week. It was the best thing for me to overcome my fear. The first few weeks were a bit scary. One day in particular was rather stressful as she started 'choking' while I was driving. She started coughing while I was stopped at a red light at a busy intersection, which sent me into a mild panic because I was stuck. I couldn't pull over until the lights changed, but by that time she'd stopped so I assumed everything was fine. About a km down the road she started spluttering again and my heart almost jumped out of my throat. I pulled over straight away fearing the worst given her allergies and tendency to randomly choke. I got to the back of the car expecting to find a very sick child; but there was this happy, smiley baby staring back at me wondering what all the fuss was about. It turns out she wasn't choking, but rather testing out her vocal skills and practising new sounds (and giving mummy a heart attack). Thankfully that was my only scare while driving. The more I drove with her the easier it got. I quickly learnt if I timed drives around her feeds (as much as possible), it made for a much happier baby and less stressed mummy. We also got her some toys to hang off the car seat and soon car rides turned into playtime and nap time for her. I slowly forgot about not being able to see her and my anxiety soon faded away. 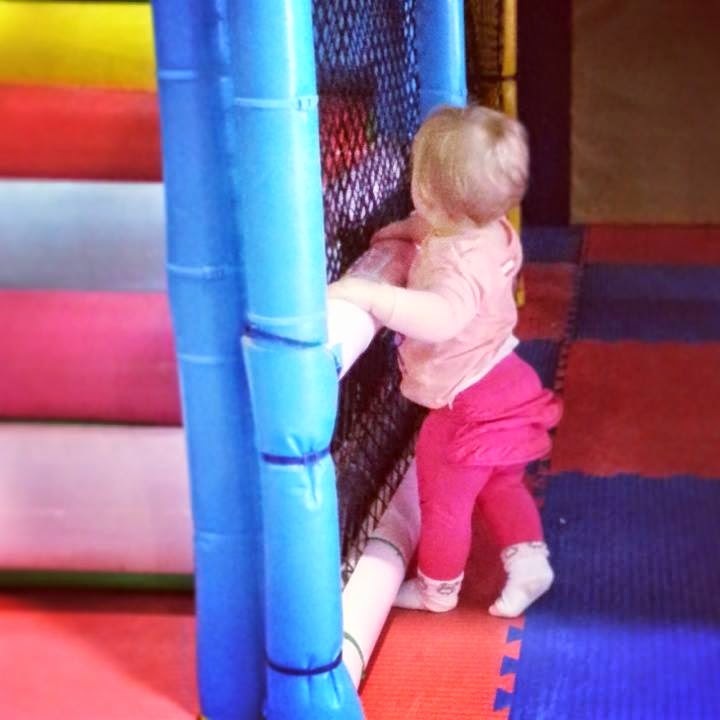 We've just turned bub around to front facing this week, she finally reached the shoulder height at 9 months old. After getting used to not being able to see her, its quite a shock to look in the rear vision mirror and see her face smiling back at me. Or her chomping away on her tigger toy. Or her dummy. Or sucking on her fingers as she stares out the window amazed by her new-found view. She sits there so proud of herself with her legs crossed and all. She thinks shes such a big girl now. I look forward to car trips instead of avoiding them now. Driving has actually turned into me time. Time when I can have a break and not have to worry about where she is and what she's getting into. Time when I can connect to the outside world. Time when I can listen to music I like, instead of abc songs (although the giggle and hoot theme song has made an appearance once or twice on the odd occasion she's been grumpy). I now make excuses to go out instead of staying home and everyone comments about how social we are. Honestly I'm relishing the fact that I can drive wherever I want now whenever I want and not just to and from work each day. Even better I get to take my little buddy along with me. We're you ever anxious driving with a baby for the first time? Do you have strategies to make car trips less stressful? John Hughes has been Western Australia's most trusted car dealer since 1969, with a philosophy that is centred around their valued customers. When it comes to selling cars they pride themselves on their product and professional staff who strive to live up to the Company Philosophy. They specialise in the sale of new and used cars at the Victoria Park and Bentley dealerships, as well as online sales and customer support both locally and nationally. 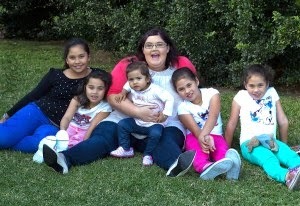 Linking up with Eva, Alicia, Kirsty, Kaz and Grace. I seem to have an obsession with yesteryear. My favourite shows are period dramas such as Call the Midwife and Mad Men, both set in the 1950's and 60's. I'm fascinated by how life was back then. I think I'm drawn to the simplicity of everything. People seemed to have a greater appreciation for what they had and valued everything much more. I love getting an insight into how my grandparents would've grown up. 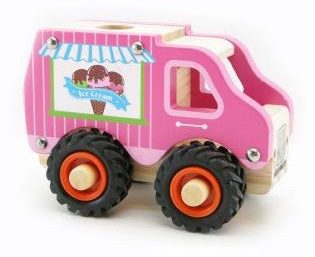 I love that wooden toys are making a resurgence. It's great to see that modern day kids are being introduced to 'old school' toys similar to those their grandparents and great grandparents would've played with. Of course the wooden toys available now are modernised with bright colours, but they still carry the same nostalgic charm. I love that I can pass that onto my daughter. 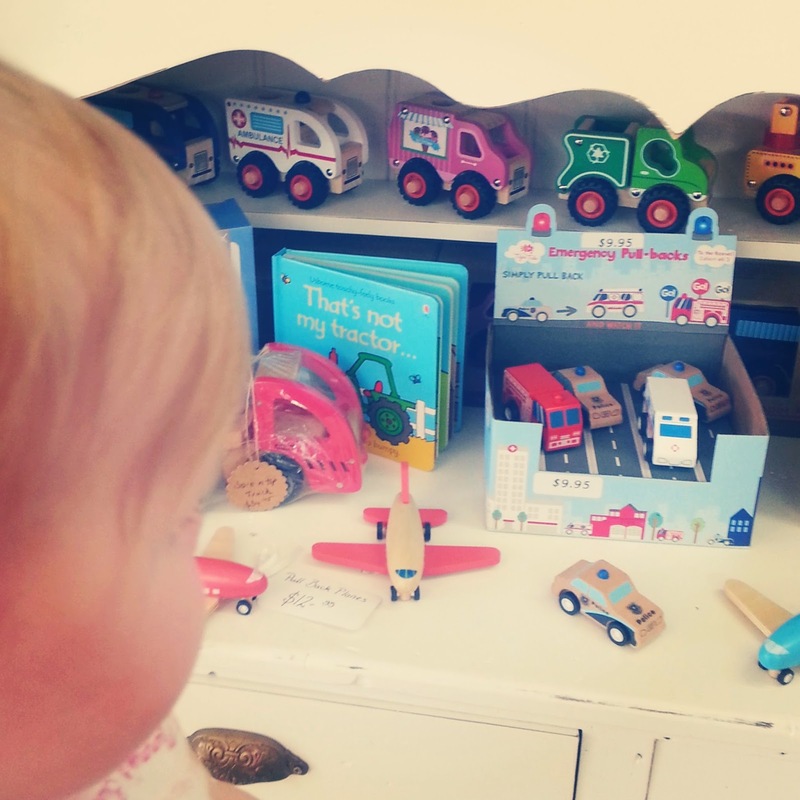 We've recently added a few more wooden toys to our her collection and she was super excited when they arrived. She was so excited she even managed to undo the bow herself, which was very impressive. Inside were four AWESOME wooden toys that mummy picked out. A mix of nostalgia, music and fun that will be both educational and entertaining. She can enjoy each toy for years to come and then pass them onto her own children later on. The push-a-long bee totally makes me think of the 60's. I can imagine little kids pushing the bee along the street outside their homes laughing with excitement at the clicking noise. Bub can't walk yet (although she's trying really hard already), but she was still immediately drawn to the bee. One of her favourite shows on tv is the Hive so she loves buzzy bees at the moment. She loves carrying it around and rolling it along the ground to make the wheels clack along. The handle unscrews so for now I've taken it off and she uses it as a floor toy, but once she's walking I'll put it back on so she can push it along as she zooms around the house. Her favourite of all the toys is the maraca and bell set. She is still crazy obsessed with music so there was never any doubt in my mind that these would be a hit. She plays both of them at the same time and gets quite annoyed if I take them from her. 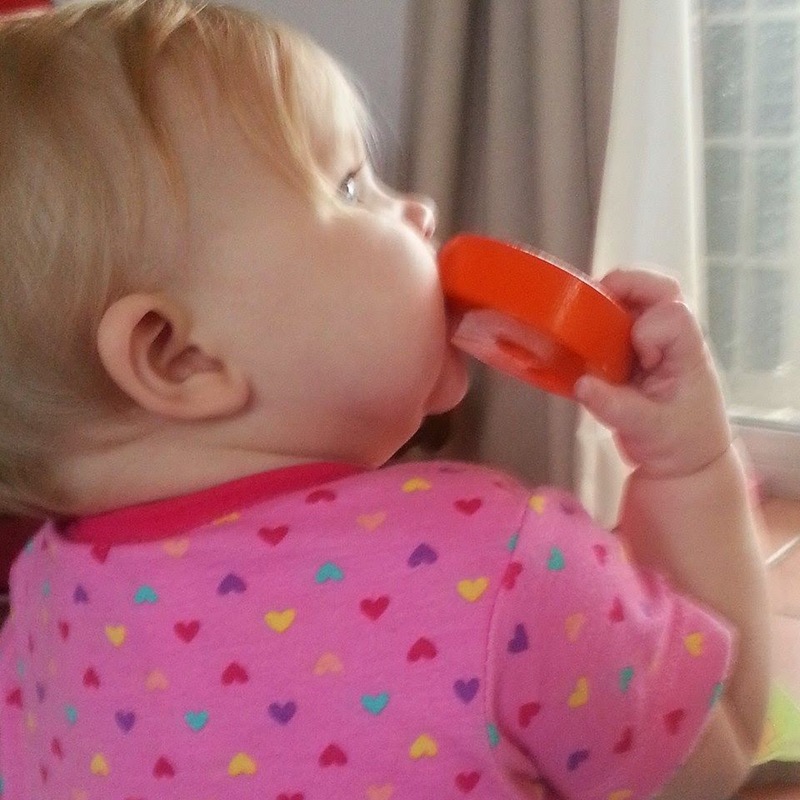 She needs to be watched closely when playing with the bells though because shes worked out that cold metal makes her sore gums and teeth feel really good so it becomes a teething toy quite quickly. Which is essentially fine, I'm just overly paranoid that she'll get the bells caught on her lip. When she starts eating it, I just take it and we make music together, taking turns to shake our instruments. They're great because she can use them either by herself, with us or her friends when they come over for play-dates. She also spends a huge amount of time playing with the windmill. She is drawn to the bright coloured discs and absolutely loves the spinner on the top. She sits and copies me spinning it around for ages laughing her head off. The clever little monkey has also come up with other ways to play with the windmill. More often than not, when shes playing independently, she can be found using the coloured discs as musical instruments. She's worked out if she gets two of the discs and hits them together she can make sounds with them, and to a 9 month old that loves music, that is extremely entertaining. They're also good to chew on apparently (as is everything at her age). The windmill will be a toy she can play with for years to come as she grows and learns new skills. Once her co-ordination gets better she'll be able to put the discs on in the correct size order. We can also use it to learn about colours. I also love that the stick part of the stacker has an added safety feature where it can collapse down to the side if they push on it the wrong way. The icecream truck is my personal favourite. 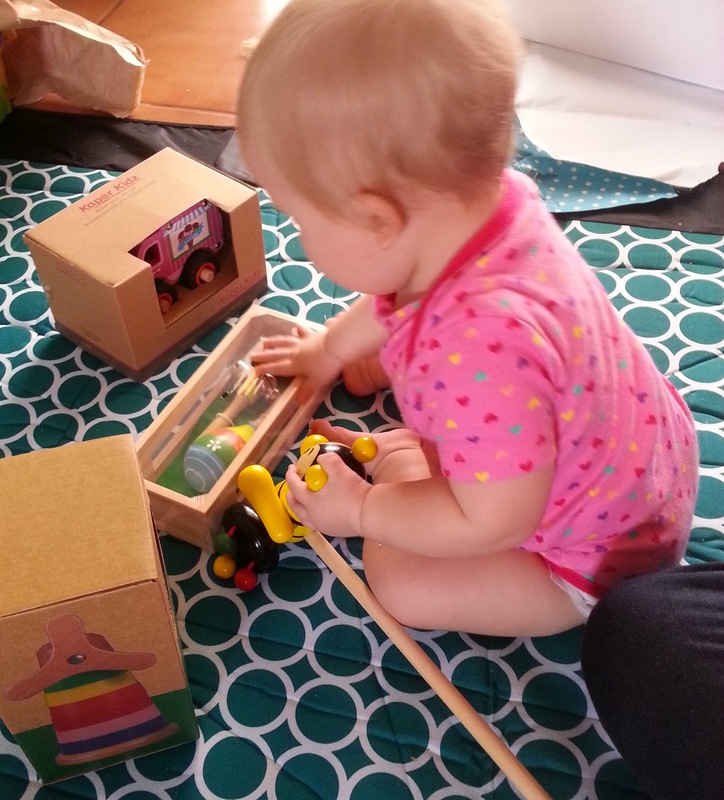 She loves playing with the trucks at mothers group (all the other babies are boys) so I wanted to get her her own special truck - because girls can play with trucks too! I wanted something special though that was different to the boys' trucks. I love that its an icecream truck, I remember I had a lego icecream shop that I absolutely loved when I was young so I have a particular affinity for icecream related toys. They always remind me of the hours of fun I had as a child and I'm having fun reliving that with bub. 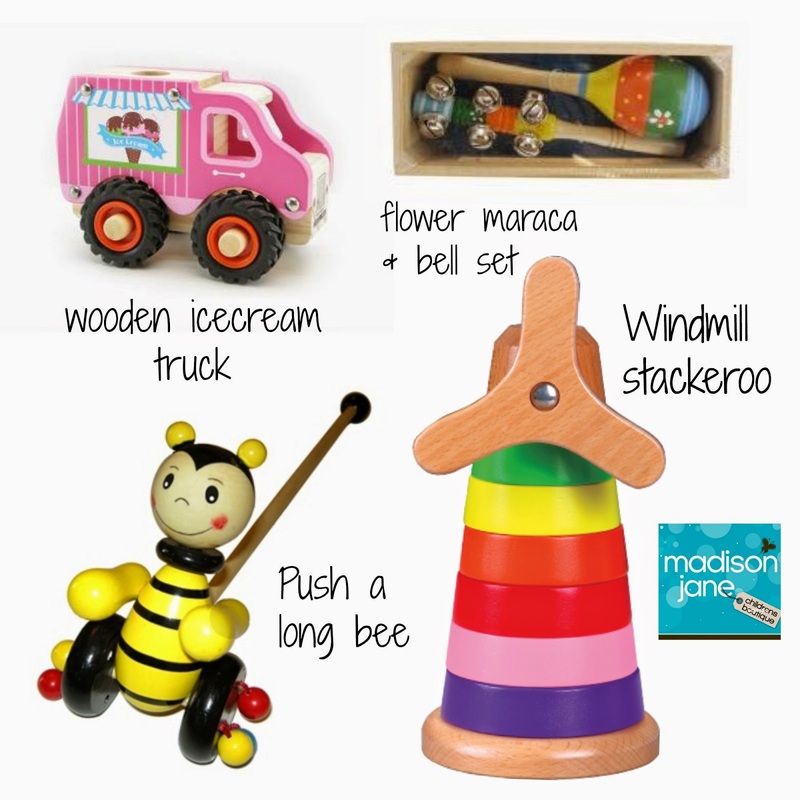 We got all these cute wooden toys from Madison Jane boutique. 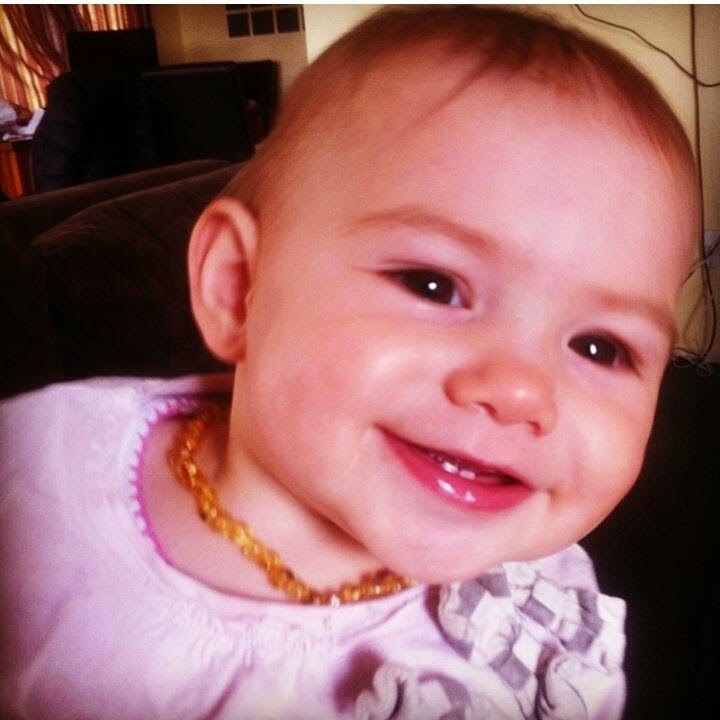 Madison Jane is owned by Julie and was named after her first grandchild. Julie hopes to pass on beloved traditions from generation to generation by stocking a range of items that remind her of when she was young. 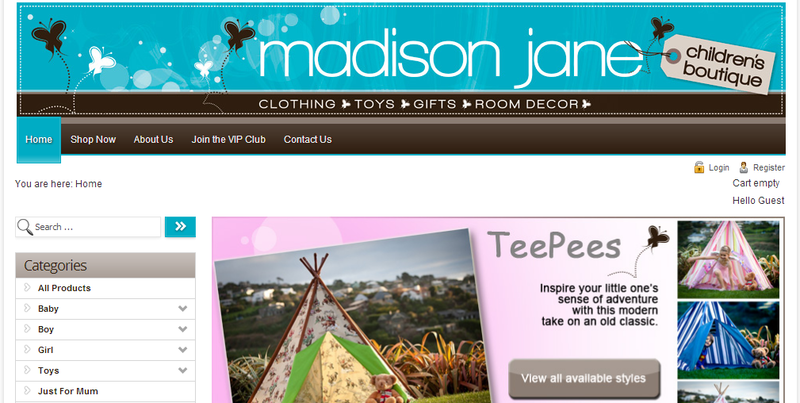 She stocks a huge range of sturdy, long lasting wooden toys and the signature Madison Jane item is their cloth teepee's. 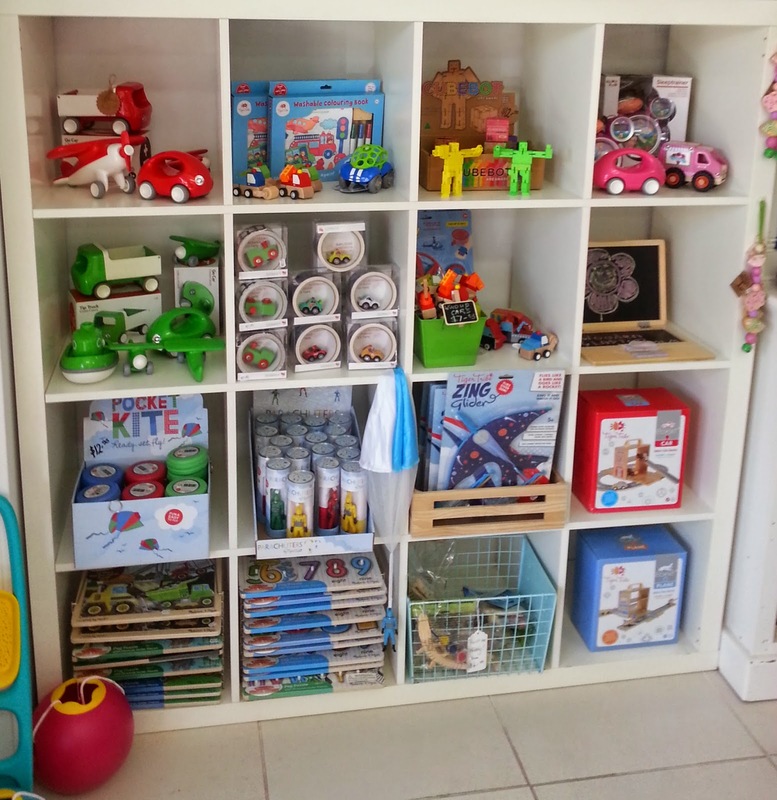 They also stock soft toys, organic clothing and educational toys amongst others. Julie is one cool grandma, not only does she run a cool little boutique on the Gold Coast, she also has the online store, a Facebook page and Instagram account. I don't know about you, but most grandma's I know aren't up with the whole social media phenomenon. My own grandma doesn't even own a computer, let alone know what social media is. My mum, who's been a grandma for four years now, does have Facebook but only really uses it to play Candy Crush and other annoying games that send me notifications every five minutes. Julie on the other hand is one hip grandma whose not only up with social media, she's all over it. We got our wooden toys from the online store, but have also visited the boutique on the Gold Coast when we went down to see family. It really is a little kids dream. When we walked in bub's face lit up like she was in baby heaven. Walls and shelves are filled with everything a child could ever want. I was equally as captivated as an adult, possibly because my inner child was coming out. There are even more items in store that aren't available online (of course I bought bub more toys when we went there). Julie is also just as lovely in person as I imagined she would be. I got to see her interacting with her customers and she encapsulates old school customer service. She makes each customer feel like they're the only customer in the store, giving her undivided attention. She also remembers repeat customers names and recognised me even though we hadn't met in person before. 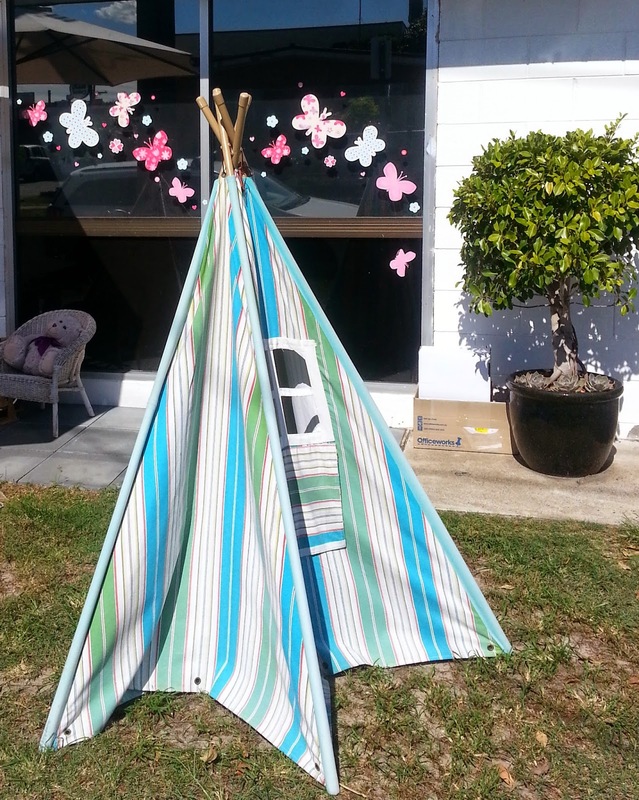 If you're on the Gold Coast you really should do yourself a favour and drop in and check out her boutique (just look for the cool teepee out the front). Word of warning though, you may fall in love with it. If you aren't lucky enough to live near the Gold Coast have a squiz at her online store or checkout the Facebook page. If you sign up for the VIP Club you'll also get access to exclusive offers and discounts. *Disclosure - I was not paid for this review. All opinions are my own based on our experience with the products and in-store. I admit I don't really like change much. I guess it comes with the territory when you suffer from anxiety. I'm learning to embrace it a little more as time goes on. In fact I'm pretty much forcing myself into new situations wherever I can (to try and reduce the fear I associate with change) as part of my mission to make sure I don't pass on my anxiety to my daughter. So far it's actually been working rather well. 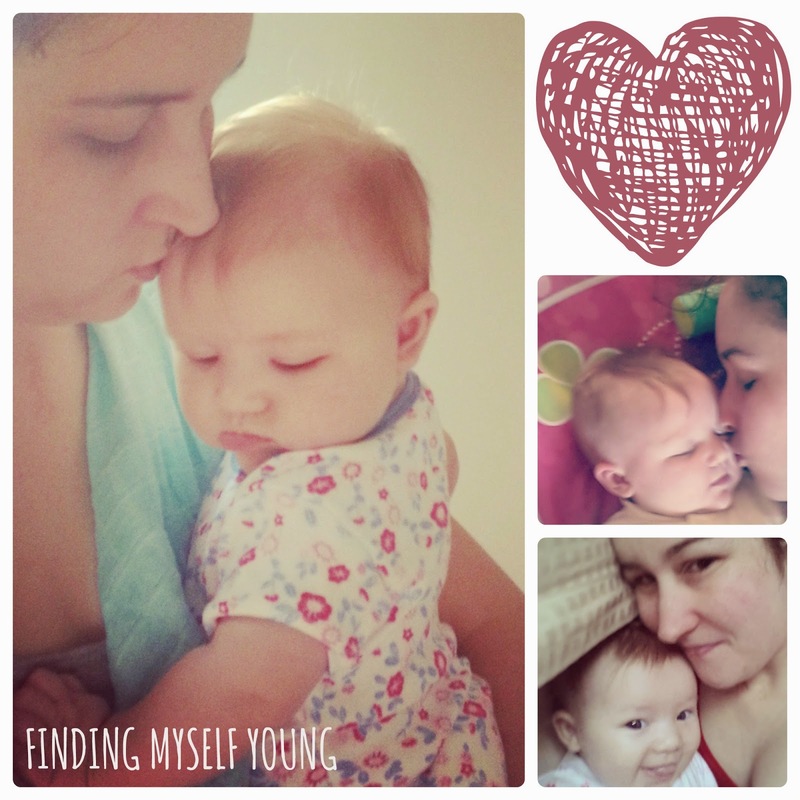 This week a big change took place in our household. One I'd been strategically successfully avoiding for the past few months. Since bub was born she's been sleeping in our room. At first I intended to have her next to me in the bassinet until she was 6 months and then transition her to her own room - at first in her bassinet, then in her cot. Of course I should know by now that nothing ever goes to plan. She ruined my plans when she began to outgrow her bassinet at only 4 1/2 months old. The mchn told me it's beneficial to keep the baby in your room for 6 months for their development. So, reluctantly T moved the cot into our room. In hindsight I think having the transition to the cot happen while she was still in our room was actually a good thing and made it less stressful for her. However, as the weeks went on I got attached to her being in our room. I loved knowing that she was just at the end of my bed. So time ticked by and somehow we got to 9 months old and she was still in our room. The thought of separating from her was getting more daunting with each passing week. In the end I decided I just had to do it or I'd never take the leap, kind of like when I contemplate taking off a bandaid because I know its going to hurt. Its best to just get on with it and rip it off in one swift move, that way it hurts but only for a second, instead of peeling it off slowly and prolonging the pain and anguish. So we made the move swift and sudden. We moved her cold turkey one night when she wasn't expecting it. Of course there was a lot of waking in the night and freaking out once she realised she was alone in the dark, but mummy cuddles subdued the tears for the most part. I think it was actually a lot harder on me than her. In fact I think shes starting to like having her own room and a bit of independence. A week on and it is going well. I don't think my brain has caught up with the changes yet though because I still sneak into my room at night - shutting the door really quietly then tip toeing across the room to bed in the dark so I don't wake the sleeping baby. I frantically switch the volume down on my phone as candy crush opens. I yell at T to switch off his alarm asap as soon as it starts blaring at 2:30am. Then I look to my right and see the precious baby sound asleep on the monitor beside me, completely oblivious to the commotion going on in our room. Then I remember shes a big girl now tucked up safe and sound in her own room. Yet I still wake up a few hours later and wonder why theres a tv at the end of my bed instead of a cot. One day I'm sure having reclaimed my own room will feel normal. I'm not going to tempt fate by saying we're over the worst of it, but we're definitely on our way to achieving a good night's sleep, both simultaneously and independently in our own separate big girl rooms. Linking up with Grace, Kaz and Bron & Sonia.